How many times have we been a part of a conversation initiated this way? How many times has gossip ignited in a matter of seconds, even when we know we are fanning the flames of someone else’s detriment? How many times have we been the one to light the match? Gossip appears to be a stumbling block particular to us as women. In today’s reading, Saint Paul encouraged women to be “dignified, not slanderers.” (1 Timothy 3:11) Looks like we’ve been dealing with this for centuries, girls. Is it because we actually enjoy tearing someone else down? Is it because we truly feel better when someone else’s life is riddled with suffering or drama or chaos? No. I think we are above that motivation. I think the real reason we gossip is because we mistake it for community. Most gossip occurs during wine night with our girlfriends, in the break room with our coworkers, over the phone with our sister, or on a walk with our neighbor. Gossip gives us something easy to talk about. And the tricky thing about gossip is that it looks a lot like bonding, when in reality, it divides. When it comes to building friendships, gossip tempts us to easy and shallow, when what we really desire is rich and deep. So instead of allowing gossip to choke the roots of a budding friendship, let’s choose to cultivate conversations that yield a beautiful harvest. 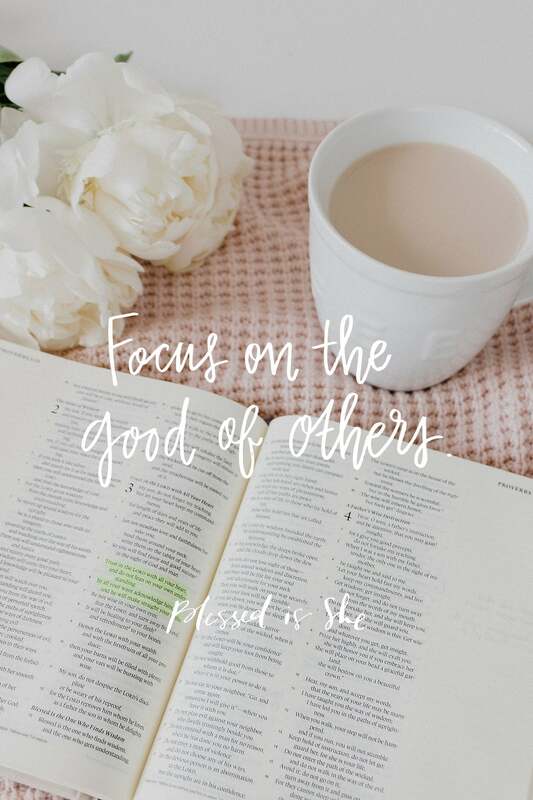 Let’s focus on the good of others. Let’s chat about our own struggles, triumphs, and questionings. I guarantee this shift in focus will strengthen true community in our lives and allow us to taste the sweetness of pure friendship. Is gossip or slander a struggle for you? Seek out a friend who can help hold you accountable. Make a determination to build other women up in your conversation. This shift will strengthen true community + allow us to taste the sweetness of pure friendship. “I think the real reason we gossip is because we mistake it for community.” AMEN. Thank you for calling me out!!!! What an inspiring perspective. Thank you! I’m new to BIS and have felt blessed by what I’ve read thus far. This devotion is particularly insightful. Do you have an archive of all the devotions that have been posted? It would be helpful to be able to re-read and reflect by topic or be able to share a devotion on a pertinent topic with a friend or family member. Thank you.